A traditional wall uplighter, with a spiralled soft bronze finish moulded resin wall mount and stunning alabaster effect curved glass upward facing shade. 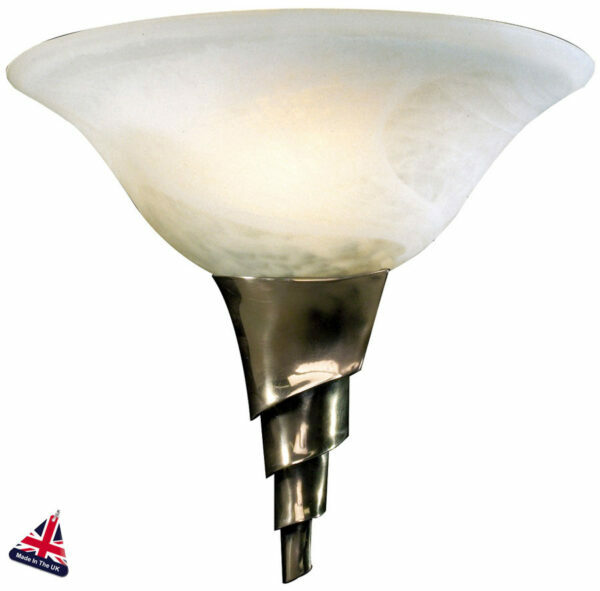 This Art Deco style light fitting is suitable for bedrooms, living room alcoves and hallways and is capable of accepting and energy efficient light bulb to help reduce operation costs. Other products in the David Hunt Lighting Spiral range can be viewed below and include a steel effect version of this fabulous wall fitting. Class 2, double insulated and handmade in the U.K. Please allow 2 – 4 weeks for delivery of your order.